Facebook, Instagram, Twitter, Google+, LinkedIn. Would you like to dive into the past of Hungary, know more about Hungary’s history, visit some of Hungary’s most well-known sights? If the answer is yes, then you might want to visit the Hungarian Danube Bend “Dunakanyar”, where you will be able to check out three cities, Visegrád, Esztergom and Szentendre, which have remarkable historical backgrounds. 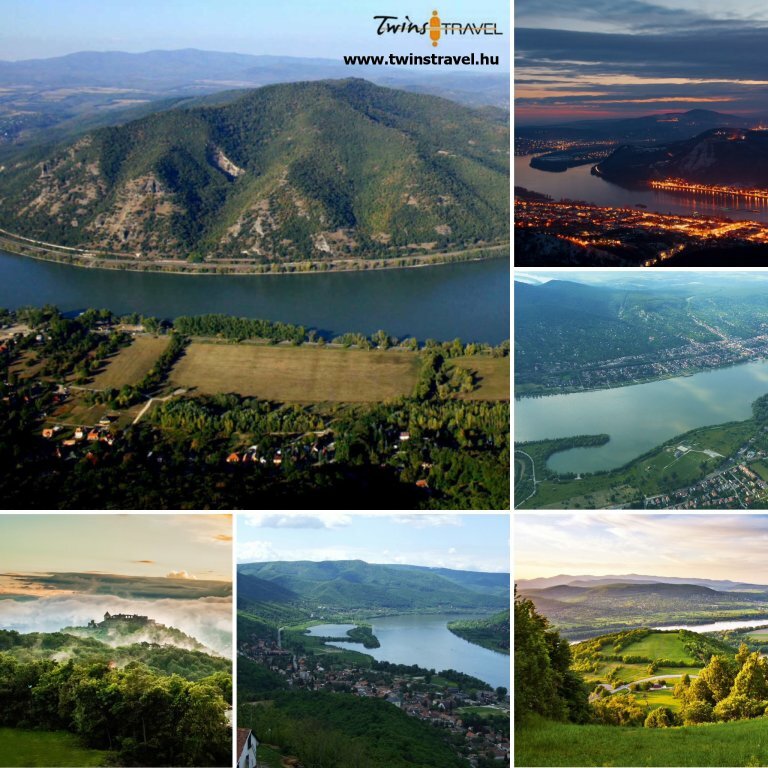 This part of Hungary is considered to be one of the important tourist areas of the country. The Danube Bend (Dunakanyar in Hungarian) is a curve in Europe’s second largest river, the Danube. The is situated between Budapest and Esztergom, this part of the river flows between the Börzsöny (a mountain range in Northern Hungary) and the Visegrádi-hegység (hills). Visegrád, Esztergom and Szentendre are situated on the right side of the Danube. In Visegrád you will be able to see many well-known sights, such as the Royal Palace, the Citadell (Fellegvár), the Solomon Tower (Salamon Torony), the Sibrik Hill (the ruins of Roman military camp). Here you can also take part in activities such as hiking, visit the Ördögmalom waterfall, walk along the Apátkút stream (Apátkúti völgy) where you will find natural springs, an arboretum and a fishing pond as well. If you want to see the most memorable sight, then come and see the Royal Palace, the official residence of Hungarian kings until the beginning of the 15th century. During the 15th century King Matthias fully reconstructed the palace in Italian Renaissance style, this period was the Golden Age of the Palace. You will also be able to admire the Ornamental Courtyard, the Hercules Fountain, the tabernacle of the chapel (decorated with carvings) and a Renaissance loggia as well. If you decide to go to Esztergom, you will see some beautiful sights here as well. These sights include the Esztergom Basilica, the Royal Palace, the Christian Museum (Keresztény Múzeum), and the Watertown (Víziváros). In the Basilica you will discover the world’s largest altar-piece, showing the ascension of Madonna (copy of the painting from Tiziano from the 16th century). By continuing your trip inside the Basilica you will find the Bakócz chapel, the most precious relic of Hungarian Renaissance, built in the 16th century. Next to the main altar there is a Treasury with extraordinary pieces of goldsmith’ art. One of the oldest items here is the oval mountain crystal made in the 9th century AD. Besides this, you will get the chance to admire the gothic Suki goblet, chasubels and Flemish laceworks. Szentendre is a very unique city with a Mediterranean atmosphere. If we travel here, we will see a Baroque townscape from the 18th century. We can start our tour at the Baroque cross, which is situated on the Main Square (Fő tér). Near the Main Square there are merchant houses, churches, museums, galleries, restaurants, cafes and shops as well. The most well-known church in Szentendre is probably the Greek-Orthodox Blagovestenska church, which was built in the 18th century, by settlers living in the Greek quarter. You can also walk on the promenade on the Danube bank or visit the House of Prisoner Ráby (Rab Ráby Ház), which is also one of the more popular sights here. There are great places to shop and eat in Szentendre, as well. From the shops you can buy wine, pálinka (a traditional fruit brandy), pottery and other souvenirs. And if you have more time, don’t forget to visit the Open air museum here, just some minutes to drive and you can see how the Hungarians used to live in the country during the last centuries. If you long for a trip with cities offering numerous free time activities and having extraordinary historical and cultural sights, Dunakanyar is the best choice for you.